Children love learning all about life on a farm. It’s so much fun visiting a farm and learning about the animals that live there. If your child has been learning about farm life, then this farm memory game can enhance the experience. 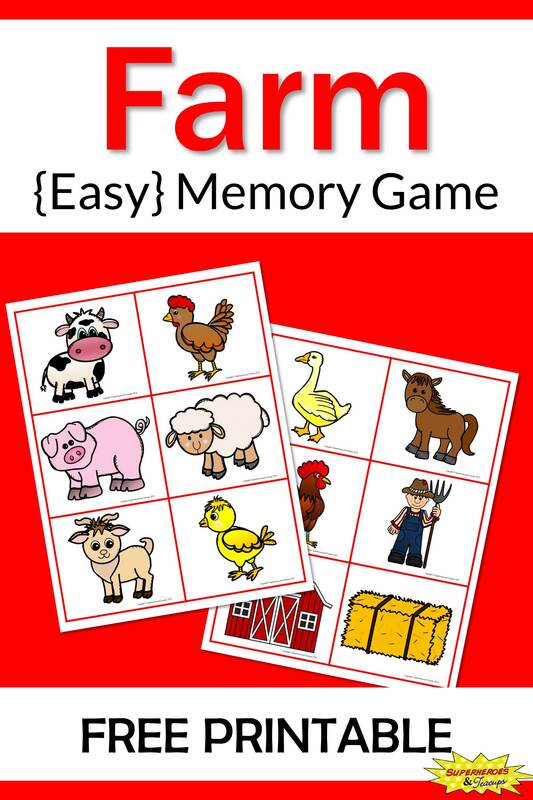 This farm memory game includes 12 different farm related images on two pages. Just print out two copies of each page and cut them out. For an easier version, just use half of the images. Clip art for this printable purchased from Marcelle’s KG Zone.